When will be The Bernie Mac Show next episode air date? Is The Bernie Mac Show renewed or cancelled? Where to countdown The Bernie Mac Show air dates? Is The Bernie Mac Show worth watching? 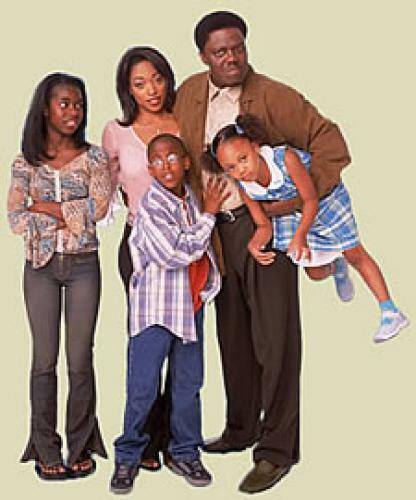 Bernie (Bernie Mac) and his wife Wanda never wanted to raise kids,but when Bernie's sister is sent to jail, her kids have to move in with Uncle Bernie. Since Aunt Wanda (Kellita Smith) is a busy executive at AT&T, Vanessa (Camille Winbush), Jordan (Jeremy Suarez, "Built To Last") and Bryanna (Dee Dee Davis), are about to discover that life with Uncle Bernie is no cake walk. Bernie's first rule of business is to set down some house rules and he only has two. First rule: It's his house. Second rule: All the stuff in the house is his and no one touches anything without permission. That goes for the TV, the VCR, the DVD and especially Bernie's James Brown CD collection. Bernie believes in tough love and as long as the kids follow the rules, he'll always try to do the right thing, but sometimes Bernie's right thing is the wrong thing. The Bernie Mac Show next episode air date provides TVMaze for you. EpisoDate.com is your TV show guide to Countdown The Bernie Mac Show Episode Air Dates and to stay in touch with The Bernie Mac Show next episode Air Date and your others favorite TV Shows. Add the shows you like to a "Watchlist" and let the site take it from there.